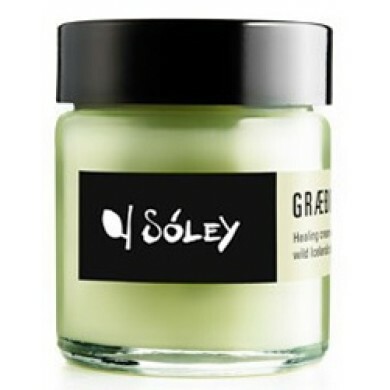 Sóley Organics Healing Balm GRÆÐIR – 30ml was Sóley's first product and remains among the most-loved. 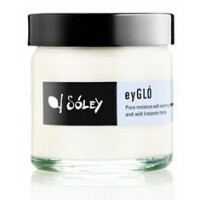 Based on a recipe from Sóley's great-grandfather, this certified organic healing cream has consistently proved effective on eczema, psoriasis, skin irritation, burn wounds, yeast infections, diaper rash, dry skin, puffy eyes, and minor wounds thanks to its concentrated dose of our signature blend of hand-picked wild Icelandic healing herbs. How to use: Apply GRÆÐIR healing balm with clean fingertips and gently massage onto skin. For best results, apply generously, morning and night. Use a spatula for getting GRÆÐIR out of the jar and warm in the palm of your hand before applying.